The introduction of nuclear weapons as a means of warfare fundamentally changed the framework of international conflicts and heightened the stakes of war substantially. The prospect of entire wars being won with the dropping of a singular bomb proved tempting, despite ensured devastation unmatched by anything nations had seen before. The bombings of Hiroshima and Nagasaki in 1945 by the United States demonstrated the devastating possibilities that these weapons provided countries who had the resources to develop them. Billions of dollars have been invested in nuclear programs since their development during World War II. The United States alone is estimated to spend $1.2 trillion on its nuclear program between the years 2017 and 2046, according to the Congressional Budget Office. The immense costs of nuclear weapons and the continuous need of repairs and upgrades has long been a point of contention in the continued build up of nuclear arsenals. Arms controls advocates have long called for the elimination of nuclear weapons as a whole, both as a means of maintaining security and saving money. In a recent analysis, the Arms Control Association highlights that the U.S. has funnelled billions of dollars into the development of new ballistic missile defenses without any legitimate missile threats to justify it. The development of space-based defence systems capable of missile interceptions from space is especially controversial. The ability to intercept any incoming nuclear missile from an adversary undermines the fundamental principles of nuclear deterrence. For example, if the U.S. was able to develop a functioning interceptor, the prospect of mutually assured destruction is negated. Mutually assured destruction entails the buildup of a nuclear arsenal big enough to retaliate against a nuclear attack and cause massive destruction. With the ability to intercept missiles, the U.S. would theoretically have the ability to launch a nuclear attack without the dis-incentivizing prospect of facing a retaliatory nuclear attack. In addition, the National Academy of Sciences concluded that it would be also extremely difficult, if not impossible, to develop it. In addition to the costs associated with the development of new defence systems and weapons, any increase in the overall number of weapons in a country’s arsenal demands continuous and costly upgrades. 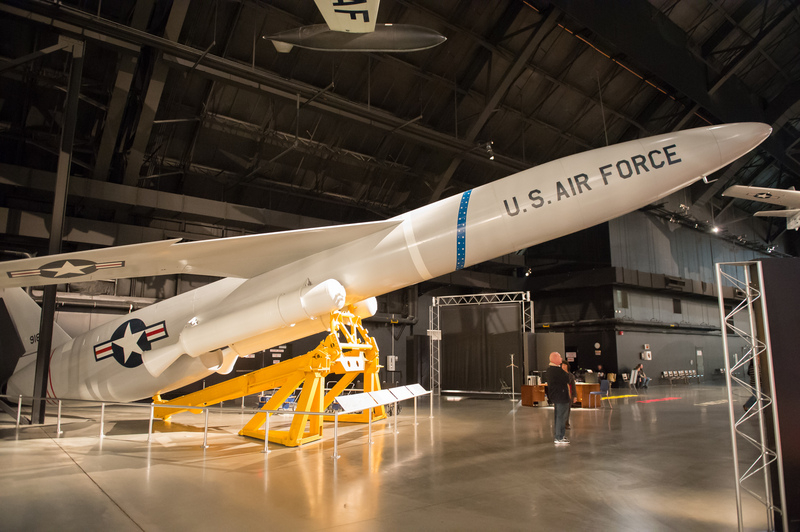 Many U.S. policymakers have argued that while the maintenance of the American nuclear arsenal is important, the delegation of defence funds to the nuclear program in relation to conventional forces needs to be more realistic. If the situation does not change, the U.S. is projected to spend about $50 billion annually on nuclear weaponry by the early 2030s. The technological advances of nuclear weapons can be an exciting prospect, but not necessarily a national security priority. Nuclear deterrence is not based on how advanced one’s nuclear arsenal is, but just the very existence of nuclear capabilities. However, despite the mounting costs and increasing criticism of nuclear weapons, the U.S. continues to invest immense levels of funding, spending over $29 billion on American nuclear forces in 2017 alone. Under the Trump administration especially, the prospect of a nuclear-free world seems to be increasingly impossible. However, the increase in spending on the U.S. nuclear program began under the Obama administration, despite his initial calls for the elimination of nuclear weapons as a whole. In 2009, President Obama announced an American commitment for a nuclear-free world, promising a new arms control treaty with Russia, and ratifying the Comprehensive Nuclear Test Ban Treaty. The UN Security Council, in support, adopted a resolution to increase international disarmament measures. While, under Obama, important nuclear arms control treaties were revamped and ratified, the overall development of nuclear programs across the world continued. In 2010, Obama signed off on a plan to commit $1 trillion to develop new nuclear systems. In 2014, Russia, under Vladimir Putin, pulled out of the Nunn-Lugar Cooperative Threat Reduction Program, that was put in place in 1991 to help secure nuclear material in Russia. Other powers including China and North Korea continue to develop their nuclear programs as well. The Trump Administration’s reliance on nuclear weapons as a political tool, both domestically and internationally, has further destroyed any chance of substantial nuclear disarmament in the near future. Trump has not only continued but increased Obama-era modernization of the U.S. nuclear arsenal to Cold War-era levels. His rhetoric has also become alarmingly dependent on threats of nuclear retaliation. In 2016, Trump notably welcomed the prospect of a new arms race saying the U.S. would “outmatch and outlast” anyone. Eerily reminiscent of Cold War rhetoric, the administration’s emphasis on nuclear weapons has exasperated tensions and the role of nuclear weapons play today. Arguably, the very existence of nuclear weapons is even more dangerous today than during the Cold War. A change in the distribution of power has thrust international relations into unchartered territories surrounding nuclear deterrence. Within a bipolar distribution of power, the United States and Soviet Union provided a level of stability. Both powers only needed to check each other, and with the prospect of mutually assured destruction, neither was inclined to utilize any sort of nuclear attack. Today the stakes are different. With growing powers such as China, and rogue dictatorships such as North Korea building their own nuclear arsenals, the realities of nuclear warfare are far more unpredictable. The recent U.S.- North Korea summit proved just how little control the U.S. and more broadly, the international community, has over the development of other countries’ nuclear programs. Despite the joint statement that outlined the two countries’ commitment to the “denuclearization” of the Korean Peninsula and the establishment of peace, little has been done to solidify the terms. Since the meeting, there have been various claims of the continued development of the North Korean nuclear program in secret. In November 2018, satellite images revealed 16 hidden ballistic missile bases in North Korea. These bases were never addressed in the summit with the U.S. and further calls into question the Trump administration’s claim that the summit will lead to the complete denuclearization of North Korea. The summit also demonstrates a larger issue within international relations: the inability to enforce the terms of agreements and treaties, especially in relation to the control of weapons. In addition to an overall change in the distribution of power, technological advances have increased the risks associated with simply maintaining nuclear weapons. Perhaps most pressing, the threats of cyberattacks against nuclear systems could lead to catastrophic outcomes. Furthermore, human error cannot be discounted in the dangers associated with nuclear weapons. Miscalculations or misinterpretations of threats can lead to the accidental launching of a nuclear weapon. Likewise, the inability to fully know the level of nuclear capabilities of states such as North Korea adds to the current tensions surrounding the realities of nuclear arsenals. For many calling for the elimination of nuclear weapons, the risks of an accidental nuclear launch far outweighs any benefit that comes with nuclear deterrence. The debate surrounding the role of nuclear weapons today extends far beyond just arguments of power dynamics and technology. The humanitarian concerns of the effects of a nuclear weapon have long contributed to the moral implications of their usage. The 2014 Vienna Conference on the Humanitarian Impact of Nuclear Weapons, attended by representatives from 158 countries, addressed a comprehensive list of issues, including the impacts of nuclear testing, the risks of accidents, and the relation of international humanitarian law with the effects of nuclear explosions. For many, there is no justification for the devastation and inevitable mass loss of human life. As seen with the aftermath of the Hiroshima and Nagasaki bombings, the humanitarian consequences of the usage of atomic weaponry are far lasting, ingrained in long-term generational health effects and trauma. The concluding findings of the conference determined that the consequences of the usage of nuclear weapons are extraordinary serious. Austria, the Chair of the conference, called for international mobilization toward non-proliferation and denuclearization. The debated effectiveness of nuclear deterrence is central in understanding the continued investment in nuclear weapons internationally. For most U.S. leaders, nuclear weapons have been central in attempting to avoid conflict and portray American strength abroad. The most prominent example of the so-called successes of nuclear deterrence is that the Soviet Union and United States never went head to head in a military conflict during the Cold War. Some theorists have argued, however, that it was not nuclear deterrence that prevented such confrontation. George Kennan wrote in 1987 that Russia was never actually a military threat to the United States, regardless of deterrence. He argues the ideological conflict that defined the Cold War was played out in the context of proxy wars, not because of the prospect of nuclear war between the two powers, but because the Soviet Union was never interested in directly attacking the U.S. or Western Europe. Kennan’s argument feeds into a larger question of what actually acts as a deterrent for war. Since the outbreak of the Cold War, nuclear deterrence seemed to be the logical argument. A country would not attack another country if there was the prospect of a retaliatory nuclear attack. However, conflicts such as the Yom Kippur War in which Egypt attacked Israel, a nuclear power, seem to prove otherwise. Perhaps a more comprehensive deterrent is how powerful, whether it be economic or political, a country is. For example, China largely relies on access to U.S. markets for its critical economic growth and any attack would comprise Chinese industry. For many, the risks and limited effectiveness of nuclear deterrence are not worth the cost of maintaining nuclear weapons. The United States is at a turning point in its nuclear program and defence expenditures. The level of nuclear buildup planned by the Trump administration is not sustainable and will eventually require a dramatic reallocation of funds. The complete elimination of nuclear weapons would likely not be feasible, especially not in the near future. As such, current nuclear arsenals must be maintained. However, ambitious projects designated to push the limits of technology and science should be set aside for more realistic plans that involve a balance between conventional and nuclear programs. Featured image by Mark Mauno, via Flickr Creative Commons.